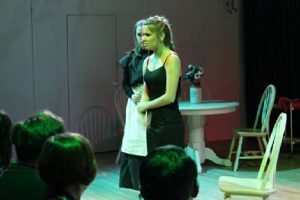 U6 A level Drama students have just completed full performances of Lorca’s “Blood Wedding” and Wertenbaker’s “Our Country’s Good” on Tuesday 20th and Wednesday 21st March. 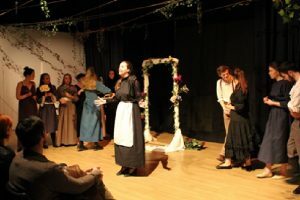 The students were outstanding in the excellent production work which was extremely well received by staff, parents and students who attended the performances in the College Studio Theatre. The students have worked extremely hard on these challenging plays and have created real ‘ensemble’ performances! 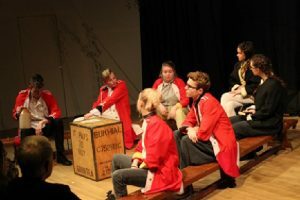 The energy and commitment that the students have shown in rehearsing and showcasing their acting work will be formally examined on Tuesday 27th as part of their A level exam. 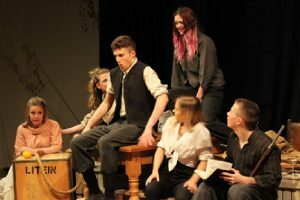 Congratulations to all the students and staff involved in the production work and thanks to all the staff and parents who attended the shows! !